I did not reviewed the products for this giveaway, but I have reviewed Serta products including iComfort items in the past.The product(s) offered for the giveaway are free of charge, no purchase necessary. My opinions are my own and not by any means influenced by any other part. Serta is a bedding brand leader and the manufacturer of the best-selling premium mattress in America, The Serta Perfect Sleeper®, the upscale Perfect Day® collection, the elegant Vera Wang by Serta® Collection and the new Trump Home™ Mattress Collection… Serta is also the creator of the iComfort® Sleep System, which features the world’s first memory foam infused with the support and cooling touch of Serta’s MicroSupport® gel that I am dying to try! What I have tried is a couple of different iComfort pillows with my favorite being the iComfort Contour Pillow that is ergonomically designed to comfortably support the head and neck; it alleviates pressure points and helps reduce tossing and turning; ideal for back and side sleepers….One of my favorite pillows so far…. The pillow is simply AMAZING. As you all know I’ve had the chance to review many different pillows and you might also remember my back problems that make finding the correct pillow a bit more than just tricky. The Serta iComfort Contour pillow provides me with the right amount of neck support, and eliminates pressure points. The pillow is also soft and very comfortable, as I said one of if not my favorite pillow so far. 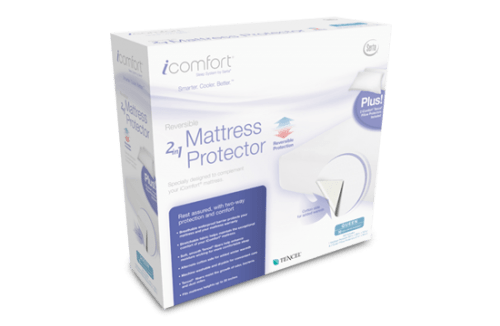 Here is the good news…The iComfort line also includes accessories like mattress protectors , and iComfort Luxury Sheet Sets and Serta has a very special prize for a lucky Born 2 Impress winner. Serta has kindly offered one lucky Born 2 Impress reader, the chance to win a free iComfort mattress protector and iComfort Luxury Sheet Set in their choice of size! A retail value of up to $368.00! I just moved into a new house and would love to have some new bedding to go with it! I love the Trump Home™ iSeries® with the Motion Perfect® Adjustable Base. I don’t see a color selection for this series! iComfort® Wellbeing Refined – looks dandy to me – in queen size. I would love to own a Queen size mattress from the Trump Home Mattress Collection! The Sleep to Go by Serta Luxury Fleece Blanket in the original White looks like it would be very soft and comfy! I’d love to try the iComfort system – I don’t think there are color choices, however! I’d love to have the iComfort Savant mattress. I would love a white mattress from the Trump Home collection. That bed looks comfy!! I like the icomfort memory foam sleeper system. I like the Bellagio at Home iSeries® mattress. I like the Perfect Sleeper mattress. I’d love the iComfort® Wellbeing Refined in full size. I’d love the iComfort Wellbeing Refined in full size. Wow.. if I could have ANYthing from Serta… oh boy I’m dreaming here.. YES I need bedding for my current bed but in my dreams, i’d be putting that bedding on one of the I comfort memory foam mattresses.. their SOFTEST one they make. I’d love to have their Bellagio® at Home iSeries® mattress. I would love the pet bed for my beagles. The Sleep to Go Luxury Fleece Blanket in White would be a great all-around addition to our bedroom. I also like the lux fleece blanket. The white dot sheet set is nice. The Bellagio At Home series! If I could have anything I would get the iSeries Ceremony Super Pillow Top. I would love to have the iComfort Directions Epic model mattress! I would love to have these! We just purchased the brand new Serta icomfort directions Acumen queen set and it was delivered yesterday. This would be a lovely compliment to a lovely Serta mattress set! I like the iComfort® Directions Acumen mattress. I like the Serta MicroSupport Pillow. I love and my dogs would absolutely love the Memory Foam Couch Bolster Pet Bed! They would be even more spoiled if they had this!! I would love to have their Perfect Day iSeries Memory Foam Hybrid mattress. The iComfort® Renewal Refined™ Pillow looks like it would be extremely comfy… but, of course! 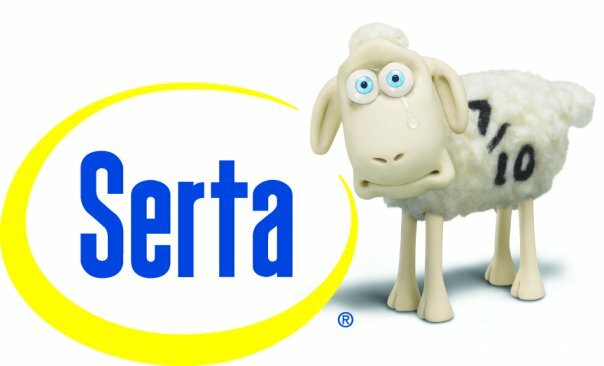 It’s from Serta! I like the Comfort® Renewal Refined Pillow. I would love a Serta mattress set called the The Perfect Sleeper pillow top! The Trump Home Mattress Collection by Serta® – Affordable Luxury Comes Home…sign me up. I would love and so need a new mattress and Serta is always the top of the line! I want to sleep better, and I want the iSeries Jubilance mattress.it is memory foam..What I would not do for a comfortable mattress like that! “This Perfect Sleeper® mattress collection features Serta’s exclusive SmartSurface™ and Cool Twist™ Gel Memory Foam. These mattresses are compatible with an adjustable foundation.”. Oh my gosh it sounds like heaven! We’d love to ditch at least one of our dressers and get a king size to fit into our bedroom. Thanks for hosting this! It is a dream to sleep on the The Trump Home Mattress Collection by Serta® – Affordable Luxury Comes Home™. I would like the Highfield Firm. We have a perfect sleeper now, and love it. I love the Serta Perfect Sleeper..would soo love to have that! I’d love to try the Sleep to Go by Serta Luxury Fleece Blanket- looks very comfy! I like the Ceremony Super Pillow Top mattress, bet I would sleep like a baby. I NEED a queen size mattress from the Trump Home Mattress Collection! Love the Serta MicroSupport Pillow! I like the Memory Foam Couch Bolster Pet Bed! I like the pet beds as well–right now with 3 dogs and 1 bed, life can get interesting! the Trump Home™ iSeries® with the Motion Perfect® Adjustable Base. i’m going to have to look into Serta® Motion Perfect® Adjustable Foundation. Is that my name on the iSeries Recognition Super Pillow Top mattress? It sure seems like it’s got my name on it! I would also really like to have one of their Sleep to Go by Serta Luxury Fleece Blankets….maybe in blue or white. I love the Valena mattress. I like the Perfect Day premium Serta mattress collection. I think I would like anything that the company with the sheep comericals make, but if I had a choice a Sleep to Go by Serta Luxury Fleece Blanket in white. Id like to have the twin set of pillows but my dream pick would be a Serta mattress. My favourite is the Sleep to Go by Serta Luxury Fleece Blanket. I like the iComfort Genius mattress. Hello, I love the iSeries Recognition Super Pillow Top mattress, wish it was in the household budget. Thanks for a great giveaway! The iComfort® FreeStyle™ Pillow looks like it would be great. iComfort® Directions looks like a great mattress. i love the pet beds. I love the icomfort matress set. I like the iComfort Renewal Refined Pillow. I like the Sleep to Go Luxury Fleece Blanket. I would really like a Sleep to Go® 2–in–1 MicroSupport™ Pillow. I would like to try the iComfort FreeStyle Pillow! I like the Bellagio at Home mattress! I would love to have the ISeries Recognition Super Pillow Top mattress. i love the serta sertapedic matress! The quiz says the Perfect Day® iSeries® Queen mattress set would be just right for me-it sounds incredible. I like the Memory Foam Couch Bolster Pet Bed. Great review and sounds like great products. I also like the Sleep to Go by Serta Luxury Fleece Blanket. memory foam mattress for sure! I would love a new mattress and according to the mattress finder I would like the perfect sleeper in a queen size. Oh yes! I like the iComfort Freestyle Pillow and the 2 in 1 Micro-support Pillow. Serta Luxury Fleece Blanket , I would love to have a new blanket especially a fleece one , how soft would that be? I would love to have a new mattress, so my pick for favorite would be the Trump Home iSeries. I have an iComfort! (not the sheets – the bed!) omg I love it…this would be the best. It was suggested I get a Serta Perfect Sleeper which looks fine to me. As long as it is comfy for me and my hubby! I like the serta luxury fleece blanket! i like the memory foam mattresses! I like the Perfect Sleeper SmartSurface. Among many other wonderful items! Thanks! I like the Serta Perfect Sleeper. I love the Motion Perfect® Adjustable Base!! We have the Serta Perfect Sleeper mattress and we love it! My favorite product is the iComfort mattress. I have one and it is heavenly. I also love the Pillow Top Poly Fill Pet Bed – Mocha…I love that they make pet beds too! I like the Perfect Elements mattress. I like the iComfort Luxury Sheet Set – White Dots! The luxury fleece blanket looks so cozy, I’d love to have it in my house! I liked the iComfort Savant mattress. 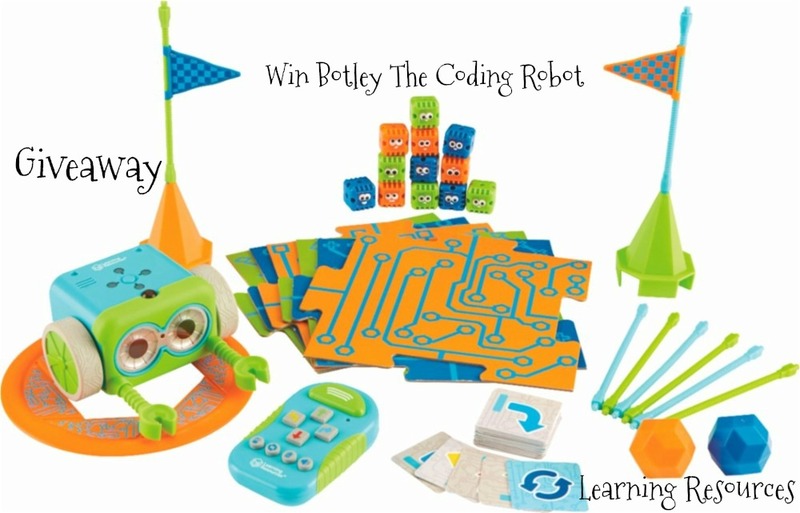 This is a great giveaway and I would love to win! The Perfect Sleeper SmartSurface Elite mattress looks very comfortable. We need a new mattress soon. I would love to have the Motion Perfect® Adjustable Base. I like the Avila Perfect Elements Mattress. I would love to have the iComfort Mattress Protector with Pillow Protector. I love the Sleep to Go by Serta Luxury Fleece Blanket!! 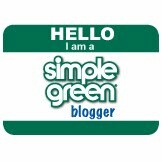 I would love to try the Perfect Sleeper® SmartSurface™ Elite! I also like the Perfect Day i-Series! Looks very comfy!! We could use a new mattress.The master bedroom one is lumpy. I definitely wouldn’t mind snuggling with the Sleep to Go™ Luxury Fleece Blanket! the iComfort® Directions Acumen mattress. My favorite is the iComfort Freestyle Pillow. I would like to have the Serta Iseries mattress. The Memory Foam Couch Bolster Pet Bed would be wonderful for my furry friend! I’d love to have the Newfound Bay Super Pillow Top. I need a new pillow and the Serta MicroSupport Pillow looks nice. Thanks! I really like the pet beds especially the memory foam one. I like the Wellbeing Refined™ Starting at $2999 (Queen Set) with the adjustable foundation/base. I would love to have one of these! I’d like to try the Sleep to Go™ Luxury Fleece Blanket.